For the 11-14 year olds : 22nd -26th August. Join your kids in a Parent/ Child camp: 29th- September 1st. 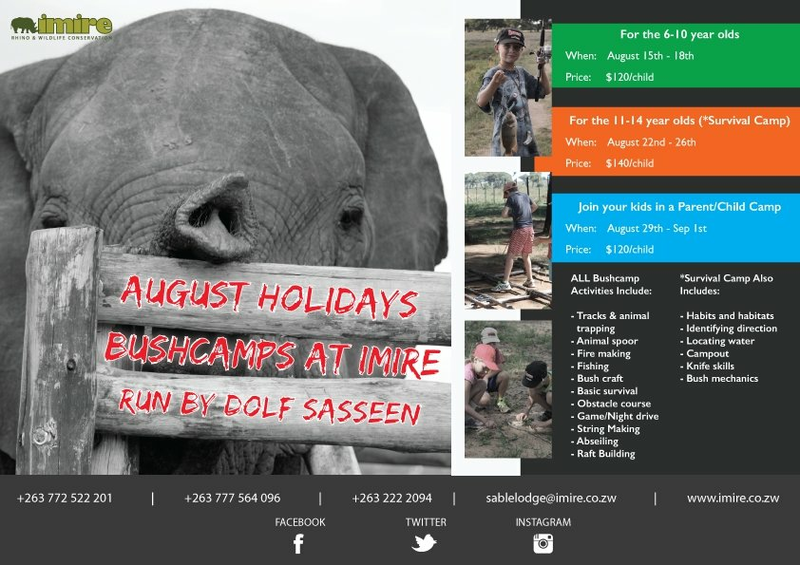 - Tracks and animal trapping, animal spoors, fire making. -Bush craft, basic survivals and obstacle course. -Game / night drives, spring making, abseiling annd raft building. -Habits and habitats, identifying directions. - Locating water, campout, knife skills and bush mechanics.